Join us on this private retreat by invitation only! Our first intimate VIP trip with space for only 3 special mommy daughter couples. 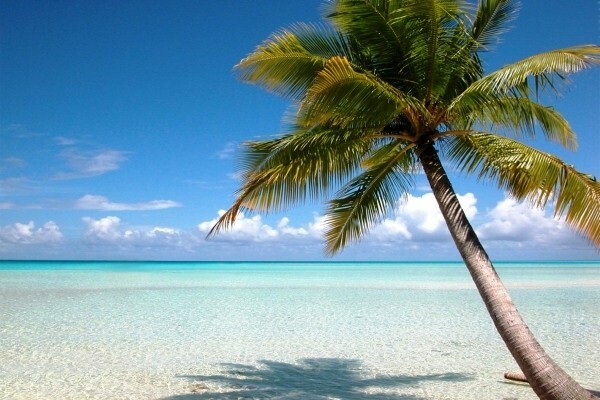 Escape and reconnect with your beautiful daughter in mystical Tulum Mexico! Join us for a week of sharing, adventuring, bonding, and loving life as we travel to all of our favorite adventure spots and immerse in the local culture in an authentic way. Reconnect your hearts, while you share learn and grow together. This adventure is open to daughters of all ages. Join us on this bucket list adventure, on a stunning high-altitude Himalayan roadtrip from LHASA, TIBET to Kathmandu, Nepal, venturing into the remote, spiritual, inaccessable, and virtually unknown frontier and pristine environment of high-altitude Tibet, ‘The Roof of the World.’ Explore captivating Tibetan Buddhism, and even make it to Everest Base Camp, practicing yoga and candlelight meditation along the way on top of the world, immersed in Himalayan nature, empowering your heart and soul, gliding past the highest snow capped peaks in the world, serene open frontiers, turquoise lakes, and flapping prayer flags in the wind. Namaste! Join us for our 3rd annual ABC Base Camp Yoga Trek in the gorgeous and inspiring Himalayas of Nepal! The Annapurna Base Camp trekking circuit is one of the most famous and breathtaking trekking routes in the world! This incredible 10 day trek will take us through all types of jaw-dropping environmental zones, as well as allowing for cultural exchanges while trekking through tiny mountain villages, and of course, immerse us in raw adventure. This trek is rich with hidden treasures of Nepalese spiritual culture and tradition, and vistas of the spectacular Himalayan range. Imagine . . . Gazing up at Ancient Buddhist structures, eating meals with monks, trekking the Himalayas, morning Buddhist prayers, misty morning rooftop yoga on tops of monasteries, rhinos and monkeys. Experience having tea inside a village Shaman's earthbag home, jungle treks, cooking and dancing with tribal women. You will be canoeing sacred rivers, visiting a village school, shopping in Kathmandu, sleeping in monasteries and so so so much more! Take a soulful journey inside and out. Humanitarian Aid | Cultural Immersion Adventure | Zanzibar, Tanzania, Africa NEW DATES! African Adventure! Zanzibar, Maasai, Yoga, Ocean, Culture, Swahili, Humanitarian Aid! Join us for the cultural paradise adventure of a lifetime in Zanzibar, Tanzania, Africa. Save the date and registration is now open! Sail the brilliant Aegean Sea, stop at tiny Greek island villages, devour delicious Greek food, explore coves, snorkle, freedive, hike, enter ancient churches, sleep under the stars, discover the Acropolis, experience the open seas, unplug and connect with nature and each other, and if you are lucky, see a million dolphins! This is a private family retreat. This retreat is full. We know life can get overwhelming some days. Between your job and the kids activities, bills and responsibilities, family obligations and never anytime for vacations . . .it can be all too much. When was the last time you took a moment to connect with your daughter? Do you know where she dreams of traveling or what she dreams of becoming as she grows up? Is your daughter in college or focused on her own career? How often do you two speak, rather than text? 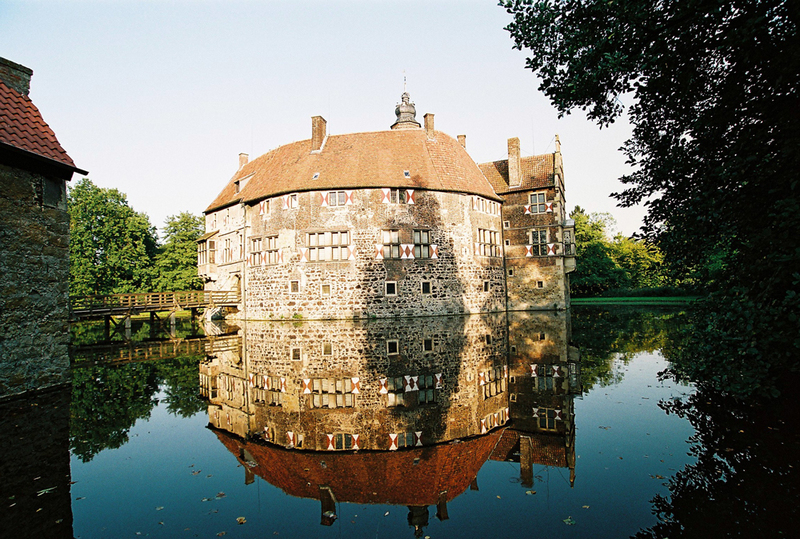 Yoga Biking Eco-tour along the Route of 100 Castles! Only a few spaces left~ Email first before registering to see if space remains. NOTE: Bikes will be rented. You do not need your own. 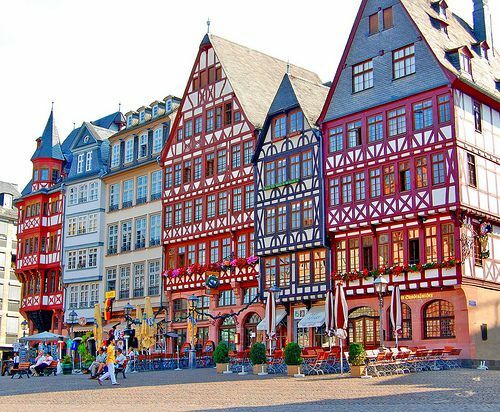 Imagine biking 130 miles through the peaceful, quiet country roads around Munster, Germany like a real German. Germans use bicycles for transportation everywhere. Pass through small villages and ancient castles everywhere the eye can see. Explore the castles, enjoy picnics, fitness, inner balance, adventure, and bonding. 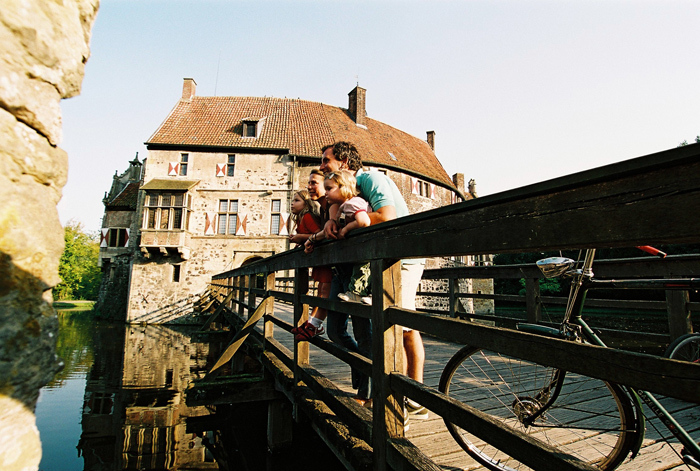 Come off the beaten path with us this summer and explore Europe from a conscious traveler perspective, by bike, smelling the air, and leaving no carbon footprints. This retreat will leave you rested, fit, calm, balanced, intrigued, and satisfied, learning culture and history, making time for self, discovering a beautiful country, and making new long-lasting friends. Join us on this unique Eco-Adventure! 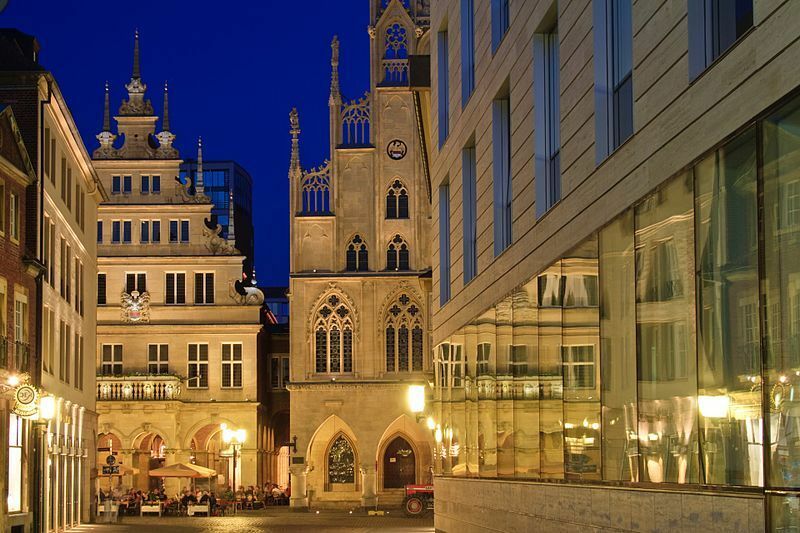 Flights into Frankfurt, Germany, direct train to Munster, overnight in Munster, set off on our adventure. 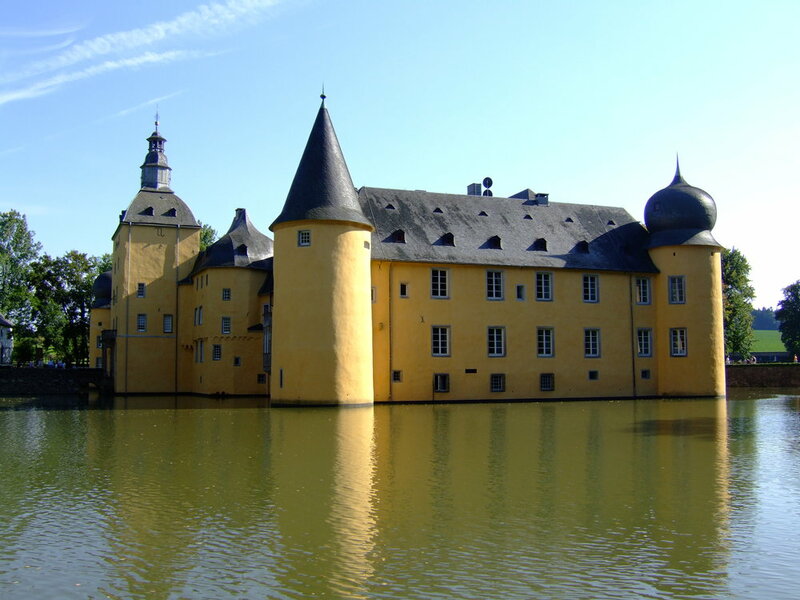 Biking at your own pace on flat terrain, immersed in beautiful nature and surrounded by 100 German fairy-tale castles. Enjoy yoga outdoors every morning, and candlelight meditation every evening after a full adventure day, the perfect way to calm your heart and mind from the stresses of the world, before melting off to bed filled with tranquility and accomplishment. 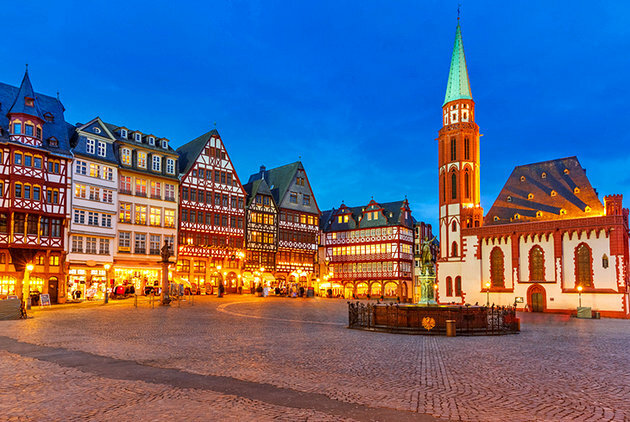 Discover German culture and picturesque small villages. Sleep in traditional guesthouses along the way,. Children are welcome on this retreat. If too young to ride their own bike, there are several rental options to choose from including carriages to pull behind an adult bike and baby seats. Please email us with children's ages for accurate price. Retreat Price: $1,450. Please email for child price, depends on age. $300 nonrefundable deposit is required to save your space. Balance due by June 20th. 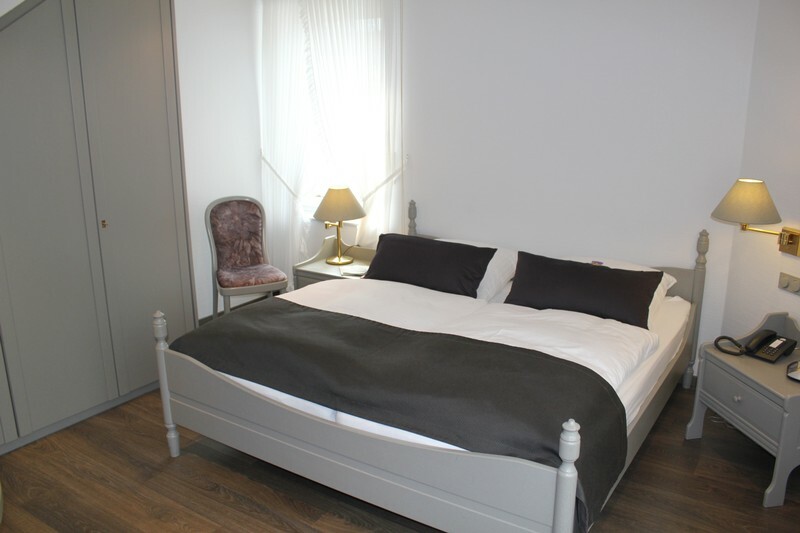 Price is based on double occupancy (single beds). All diets accommodated. This is a private sailboat charter retreat. This retreat is on a 43.5' private sailboat yacht sailing the Greek Islands, from a port in and out of Athens, Greece. We will sail between the beautiful islands, relaxing under the Mediterranean sun, swimming in secret coves, exploring tiny Greek island villages, enjoying fresh Greek food, and rejuvenation and relaxation. Learn to sail if you want, practice some yoga on deck if you want, meditation under the stars, freediving, shopping, hiking, or just laying on deck with a book, in a hammock, drinking some fresh juices and being disconnected from the world. Bask away the day in the sun and dine on cliffs at a new island every evening. Make lifelong new friends. Refresh your body, mind, and soul. Our boat departs at 4pm on June 24th, and returns to port June 30th evening. We sleep on the boat at port the evening of the 30th, and depart on July 1st morning. This retreat includes the boat and captain, docking fees, and linens. This retreat does not include food, boat fuel, or tips. Price: $650usd/person/double cabin, or $1300/cabin. We have 2 cabins available. Payments due immediately upon reserving your space. We hope to welcome you aboard! This is a private retreat. 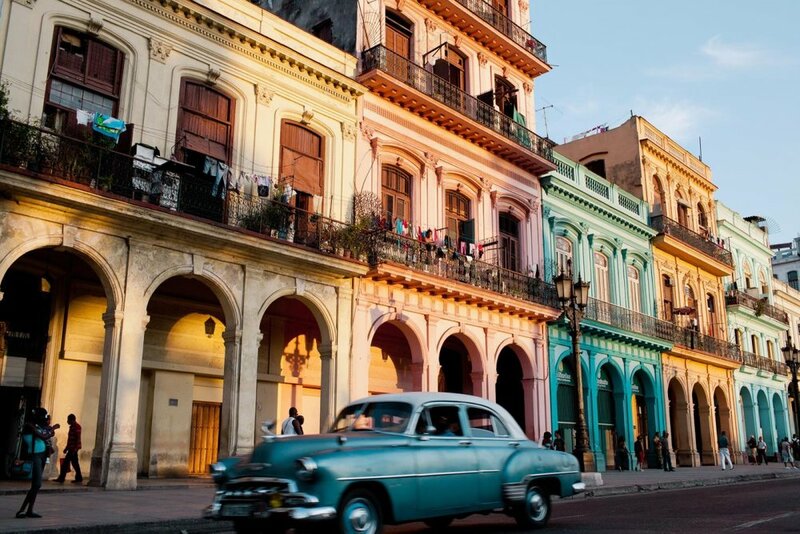 Come experience Cuba with us!!! 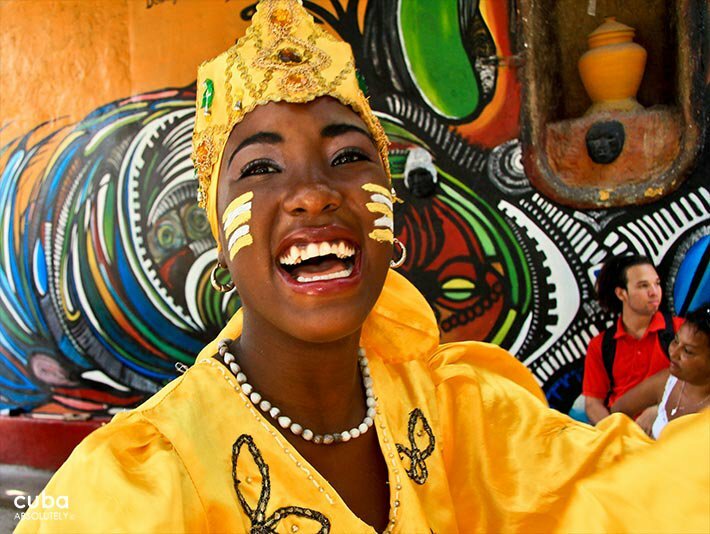 Small group eco-travel, intimate cultural immersion, yoga, relaxing beach days, adventuring caves, Havana nightlife, off the beaten path exploring, Afro-Cuban dancing! 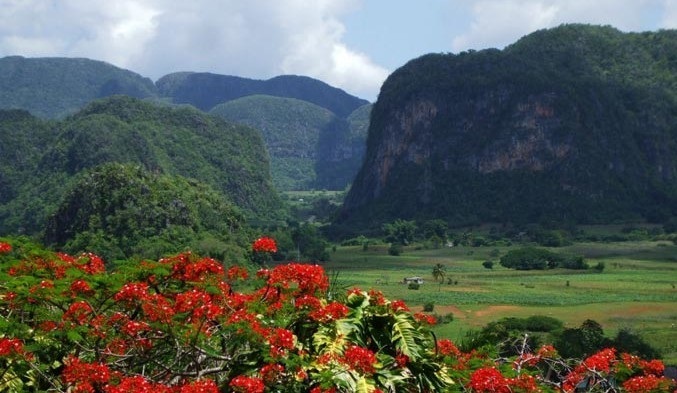 Join us on this incredible journey into the heart of Cuba. Enjoy homestays with Cuban families, Cuban cooking and dancing lessons, mojito making, cave exploring, cenote swimming, waterfall hiking, beach relaxing on beautiful white sands, daily outdoor morning yoga to greet the day, evening candlelight meditation for inner peace and balance, new friends, exciting nights out in Old Town Havana, cruising the strip in vintage cars, browsing local markets, tasting all of the local food you can muster, offering humanitarian aid to local families, and supporting small local businesses. Conscious travel that leaves you speechless, with raw adventure, internal de-stressing, external excitement, falling in love with a new culture of the world. Travel you can feel good about! 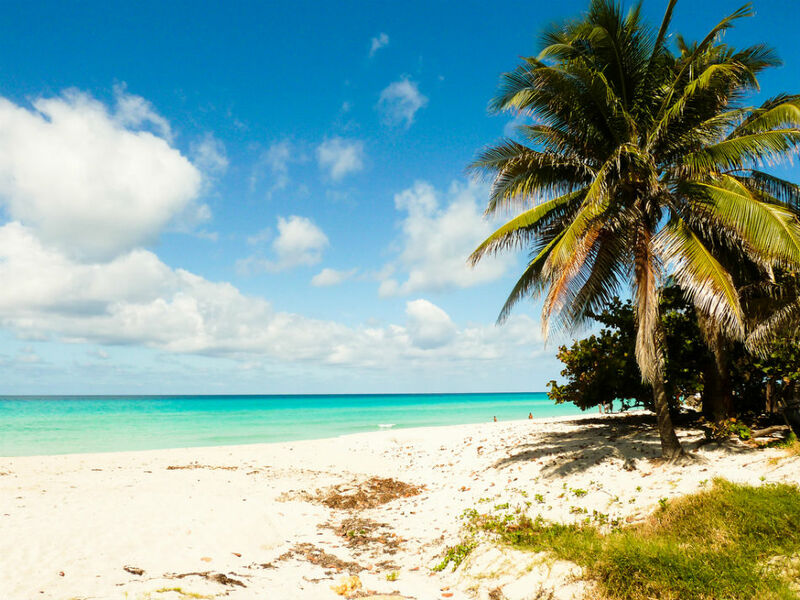 Join us on for this intimate view of Cuban culture, happiness, and extraordinary nature, and relish in an amazing vacation! We are so excited about this adventure! All diets accommodated, $500 deposit, Payment plans available. MEXICO Mayan Family Spring Break Adventure! Leap into the heart of Mexico with us on this unforgettable Mayan adventure! Vegetarian/Vegan Breakfasts. Daily Yoga. Mayan Ruins. Beach. Jungle. Remote jungle cenotes. Caves. Colonial Town. Candlelight Meditation. Join us this April in Mexico’s Yucatan, and serve your adventurous side as well as your heart and soul. Special family off the grid bonding! This adventure retreat offers an amazing balance of downtime, daily yoga and candlelight meditation, with beautiful nature of Mexico, ancient pyramid ruins, Mayan cultural immersion, exploring remote jungle cenotes, fresh organic vegetarian food, colonial cities, swimming, jungle, and world class beaches. Escape time and place and dive into the Mexican jungle. Zen your way through the heart of Yucatan, Mexico, home to thousands of sparkling blue hidden cenotes. Make a hammock with a Mayan, camp at a remote turquoise cenote, hike to the top of isolated Ek Balam ruins, cook in a palapa over coals, ride bikes in the jungle, explore a secret crystal cave with headlamps, attend a traditional Mayan dance, learn the history of Valladolid at the foot of a castle twinkling at twilight, eat authentic tacos, visit a Mayan school, discover Chichen Itza, relax in the sun at the world class Tulum beaches, and lazily explore the beautiful churches and streets of glorious colonial Valladolid, Mexico. This retreat has something for everyone, and covers all bases for a complete Mayan experience. Time for self-exploration off the grid, family bondong, journaling, living in the moment, embracing nature and downtime, sharing experiences, creating memories, adventuring beautiful awe-inspiring locations, and learning the fascinating history and beautiful culture of the Mayans and Mexicans in this best-kept secret Mayan homeland. Welcome people of all ages! Great for children and families as well as individuals, couples. Payment plans are available. Deadline to pay is March 1st. Interested in this trip next year? Please include the number of people in your party. We will be back in touch when this trip is scheduled for next year! Calling all adventurous, soulful mamas with daughters! Enlightened Globetrekker is happy to announce our first inspirational Mother/Daughter focused Adventure Retreat! Treat yourself to a special week in paradise bonding with your daughter in Tulum, Mexico. We have thought of everything and designed an experience where you can come, relax and unwind without the distractions of home. Snorkeling in the cenotes, hiking the Mayan ruins, riding bikes along the streets of Tulum, morning and evening yoga, art and journaling activities, and more! Come and unwind with other like-minded people who want to cultivate wonder and adventure in their lives. This retreat is a magical opportunity to deepen and strengthen your relationship with your daughter in an environment where everything slows down. Co-led by Crystal Blue and Crystal Kelly. Leave rested, rejuvenated, empowered and radiant! $2500 per mother/daughter couple. All inclusive, not including airfare into Cancun. $300 deposit required to reserve space. enlightened globetrekker adventures is a global inspirational travel adventure company that focuses on nature, yoga, simplicity, happiness, gratitude, freedom, cultural respect, dreams, global awareness, humanitarianism, and raw adventure, the tools needed to live a happy, inspired, fulfilled, and awesome life. Based in Tulum, Mexico, mother daughter duo Crystal and River travel the world adventuring and sharing this inspirational lifestyle. Crystal has taught kindergarten, and 5-7th grades, in Mexico and the South Pacific, and used to work at UNCW teaching university students. This summer, they have decided to stay here in their hometown and have fun serving up this goodness to their own hometown community, by way of designing and offering an inspired living summer day camp, in the same style found in the Adventure Kids Club on their global adventure retreats. We are happy to be home this summer, and we hope that you will join us for adventure camp! We can’t wait to adventure together! Choose your week, choose multiple weeks, or choose the day option. Adventure soul-seeking, nature loving, kind, beautiful, rising boy and girl 2nd-5th graders. $30 nonrefundable deposit per adventurer is required when you register. Balance must be paid before first day of camp. All adventurers must be registered and paid prior to drop-off. Pickups and drops off at Halyburton Park, 9am and 3pm. Every day we will be adventuring in a different way. Once everyone scheduled is dropped off, we will begin our morning yoga class and circle time. Then we will have a healthy provided snack, and then we will leave Halyburton for the daily scheduled inspirational adventure: Carolina Beach State Park nature hiking and nature collections for adventure boxes, ocean swimming, beach adventures, discussing tides, collecting shells for boxes, pool swimming, etc. Some days we will be staying at the park for music group, biking day, crazy fun, journaling, and awesome globally-inspired projects, etc. We will have circle times twice a day, sitting on the grass, discussing our intentions, gratitude, learning Spanish, what we will be learning for the day, and then regrouping and reflecting on our day, our adventures, each other, friendships, nature, and ourselves. All activities focusing on nonmaterialism, nontechnology, simplicity, grounded living, gratitude, nature, and adventure. Before camp begins, you will receive a packet of information including an adventure gear packing list for each day, and each day’s schedules, lessons, and projects. Space is limited. All releases to be signed upon deposit and registration. Like the feel of Tulum, this adventure is a mix of eco chic luxe simplicity and raw beautiful natural adventure. This retreat is a combination of all of our favorite things, and the factors that we feel are important to be balanced: adventure, paradise, yoga, healthy food, tranquility, nature, love, travel, culture, and inner peace. This retreat takes you away from life as you know it, to a quiet remote jungle palapa, with time to focus on yourself through yoga and meditation, silence, fun, adventure, and happiness. No wifi, no stress. Time to realize dreams, see strengths, love life, share with others, and create and enjoy your own most extraordinary potential. A mix of simple and elegant, we cover all of the details, and foresee all desires and needs to ensure that you have a life-changing, relaxing, fulfilling, rejuvenating, and inspiring adventure. Watch this terrific video of the adventures and accommodations. Incorporating our children. Bonding together through adventure and special time. Making the space for these priceless shared moments. This adventure is hosted by Crystal Blue and River. $1,250 USD all inclusive adult price. Children $850. Family packages available, please email. $300 nonrefundable deposit. Payment Plan Option: Balance is due 2 weeks before adventure. Space is limited. Families welcome!